This design was adapted for a lampshade from one I previously did as a framed picture. 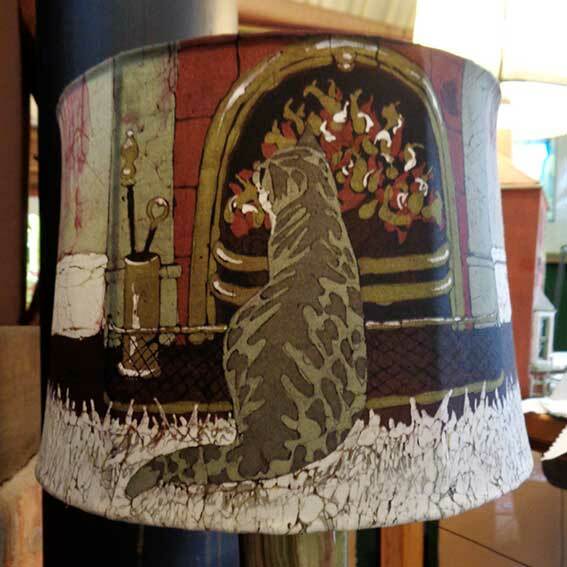 When the lamp is lit, the glow of the flames and the cosy cat make a very warm and comforting feel. It is also one of my most popular greetings card designs.